The vocal competition is open for all for young and talented singers between 15 and 24 years. The contestants will sing pieces from the classical tradition. NINA Solo Competition – for young voices.We are happy to welcome 18 young singers for NINA Solo Competition. Possibilities for rehearsal with pianist in a rehearsal room. We need to know if you will bring your own pianist, or we should prepare one for you. Sing two well contrasting pieces from the classical tradition max. 10 minutes pure singing time. After the first round the jury will choose contestants for the 2nd round. Rehearsal time with pianist for the 2nd round in rehearsal room in the afternoon and evening. Sing two well contrasting pieces from the classical tradition max. 10 minutes pure singing time. After the second round the jury will choose 3 finalists. 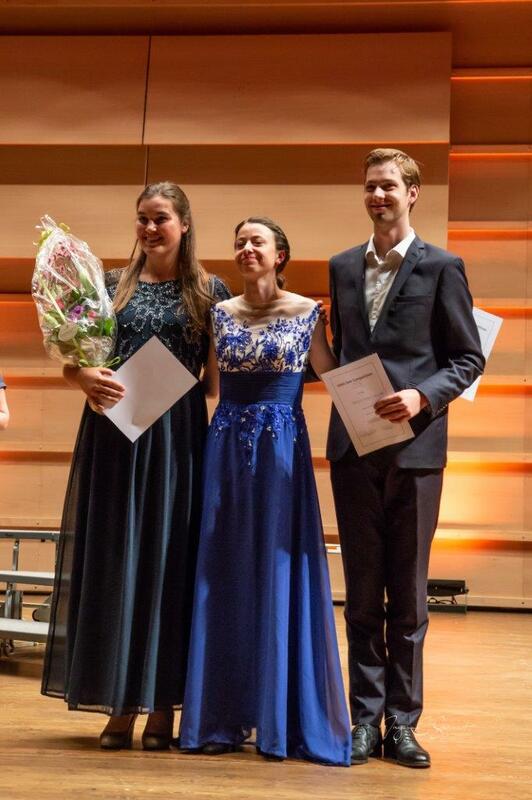 Finale with 3 finalists, concert and competition results. The finalists will sing one piece from the classical tradition. The finale will be in Grieghallen together with the Grand Prix Finale for the choir competitions. The singers will be assessed by an international jury. The jury has the right to award the 1st, 2nd and 3rd Prizes. Adjudicator will give one point of the used scale 10-25 points for each singer. The final point will be the average of the given point from the jury. In case the singer exceeds the time limit for more than 30 seconds, each extra minute will equal to 1 minus point in the total score.